Construct a family tree of academic agricultural and resource economists, which highlights the influence of members of the Giannini Foundation in current day agricultural economics research. Agricultural and Resource Economics is one of the oldest sub fields in economic research. Its history is told in several review articles, yet no one has traced its origins in a systematic way. We have improved an existing academic family tree piece of software, which much like a regular family tree traces the history of the field by linking students and advisors. What is the premium for rent or purchase price for energy efficient buildings? This research exploits exogenous variation in mandatory energy code implementations as a result of the 1992 Energy Policy Act to estimate the energy efficiency premium in office buildings. 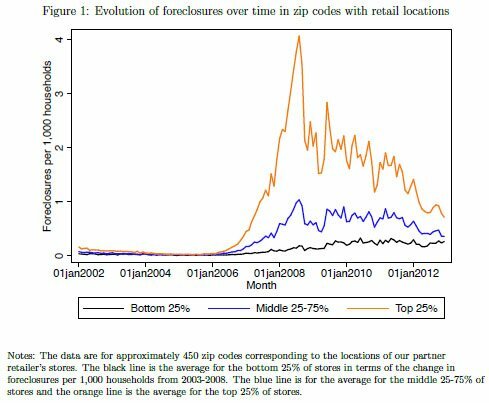 A more stringent code leads to rent and price premiums of approximately 3% and 12%, respectively. Significant heterogeneity in the rent premium is observed based on who pays the utility bills, as would be expected absent asymmetric information about energy conservation characteristics among real estate market participants. The results cast doubt that asymmetric information between office building owners and prospectivebuyers or tenants mitigates the returns to energy efficiency. Analyze the effectiveness of the vendor peer group system in place for California WIC and the mechanism for setting maximum allowable reimbursements for FI within the peer-group system. We will recommend modifications to the existing program, as appropriate. Analyze the extent to which the WIC program raises food costs for non-WIC consumers. Foods eligible for purchase und er WIC are also purchased in the open market by non-WIC consumers. These consumers' food costs will be increased to the extent that the presence of inelastic-demand WIC consumers motivates stores to charge high prices for WIC-eligible foods. These concernsare significant because for key products such as formula and certain baby foods, WIC sales comprise over half of total sales. Yet the impact of WIC on food prices has received almost no attention. We used three data sets for our analysis. (1) The entirety of redemptions made under the California WIC Program for the 29-month period from October 2009–February 2012. (2) The results from three separate surveys: a small-store survey vendors with from 1–4 registers, a large-store survey for vendors with 5 or more registers, and a survey of vendors who earn more than 50% of their food revenues from the WIC Program. 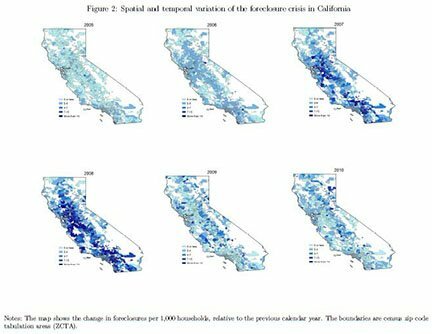 (3) Weekly wholesale costs and retail prices for three large supermarket chains in Northern California and four large supermarket chains in Southern California for the time period August 2011 through May 2012. Analysis of FI redemptions and in-store pricing for register peer groups revealed large differences in pricing and program costs base d upon number of cash registers operated by a vendor. Smaller vendors not only charged much higher prices on average than larger vendors, there was also much greater dispersion of prices and FI redemption values among small stores. Simulations showed that Program cost savings could be quite substantial if small vendors were induced to achieve a performance roughly comparable to the larger vendors, 34.5% or about $37.5 million for powder formula FI and about 28.4% or $15.3 million the leading combination FI over the 29-month study period. A second simulation focused on eliminating the vendors in each peer group who charged the highest redemption values -- either the highest 5% or 10% -- and "reselling" their FI at the mean redemption rate of those vendors who remained authorized by the program. Aggregating across peer groups, the Program savings from eliminating the least competitive 5% (10%) of vendors from all peer groups ranged from 1.0 – 1.7% (2.0 – 3.4%) depending upon food instrument. The least competitive vendors in the California WIC Program are concentrated in the peer groups with 1-2 and 3-4 registers, and on average these vendors don't sell many FIs, so their removal from the program, although it represents "low - hanging fruit," has a limited impact on overall Program costs. More significant gains in cost containment may be possible by eliminating some of the more expensive products, brands, or sizes covered by the WIC program. The first round of analysis that we have carried supports the simulation results of our bioeconomic model of bee foraging. In the conditions of commercial almond orchards, bees fly quickly and reach most of the trees in an orchard under most weather conditions. The effect of hive distance to a tree on yield is accordingly small. This finding is helps understand a common practice among almond growers which is to place bee hives in groups of 20 to 24 every 10 acres or so. The rapid diffusion of bees through the landscape also has implications for the prevalence of externalities, which we document and model in a related research effort. We are in the process of extending the analysis to the temporal aspects of pollination by combining data on bloom development and bee activity in collaboration with Patrick Brown from the Department of Plant Sciences at UC Davis.